Trapped in a world of overwhelming terror, never underestimate the power of friendship and love. 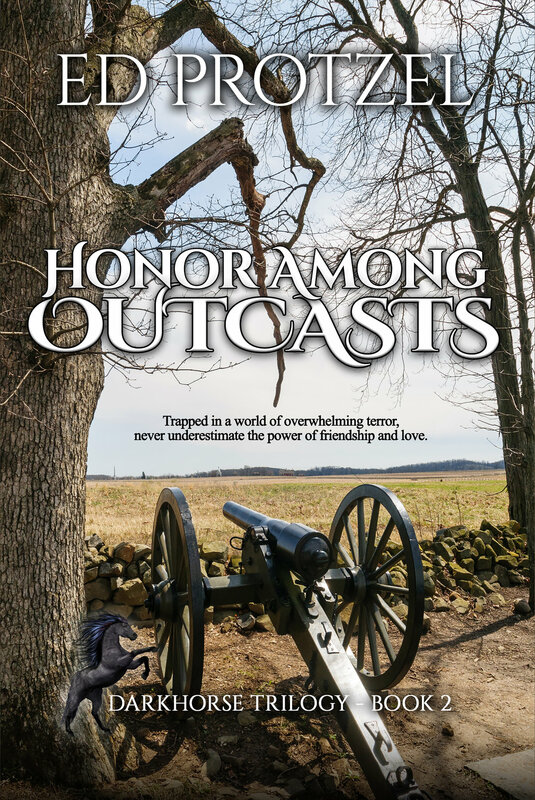 Barely escaping Civil War Mississippi, fast-talking abolitionist Durksen Hurst, along with his fiancée, Antoinette DuVallier, and their friends—a group of slaves, men, women and children—arrive in guerrilla-infested Missouri hoping to aid the Union cause. They quickly find themselves entangled in a bloody cauldron of savagery, depredation, and retribution—on both sides. Working as laborers at an army camp, Durk schemes to form a Union colored cavalry regiment. But when he registers the unit as white to trick a racist general, he inadvertently sets in motion a series of complications that could prove fatal. When their regiment is sent to Lawrence, Kansas, the women and children are shipped to St. Louis. But Confederate guerrillas raid their train, massacring many aboard, and the women are plunged into a maelstrom of hardship and indignity. After most of the men are slaughtered during Quantrill’s infamous raid on Lawrence, a Union general, looking to deflect blame for his failure, arrests Durk and Antoinette as Confederate spies. Now the pair must face a rigged military trial, with the hangman their likely destination! Meanwhile, the couple’s longtime nemeses from Mississippi, Devereau French and Chickasaw Robert Sterling, have been preying on refugees fleeing the savage Missouri-Kansas border. Learning of Durk’s and Antoinette’s predicament, they plot to ensure the pair’s execution—and to take the captive women and children back South for quick sale into slavery. The surviving men realize that to save Durk and Antoinette, they would have to become outlaws themselves. Will their desperate attempt only lead them to join their friends on the gallows? Can justice prevail in such turbulent times?